Ken Rodgers, M.A., has been on the faculty of Hesston College since 1988. He conducts the Hesston College Chorale and teaches organ and music appreciation classes. As an organist, Ken has accompanied Hesston College's choirs on fifteen of their tours of Europe. He has also given recitals in Germany and throughout the United States. A native of central Kansas, Ken graduated from Hesston College in 1985, Goshen (Ind.) College in 1987 and the University of Kansas (Lawrence) with a master's degree in church music in 1998. 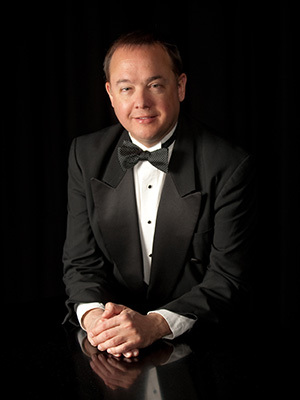 In addition to his teaching, he performs frequently as a collaborative pianist for fellow Hesston College faculty member Tony Brown (baritone) including a 2006 trip to Uganda, and is a founding member of the Sunflower Trio along with Hesston College faculty members Matthew Schloneger (tenor) and Rebecca Schloneger (violin).